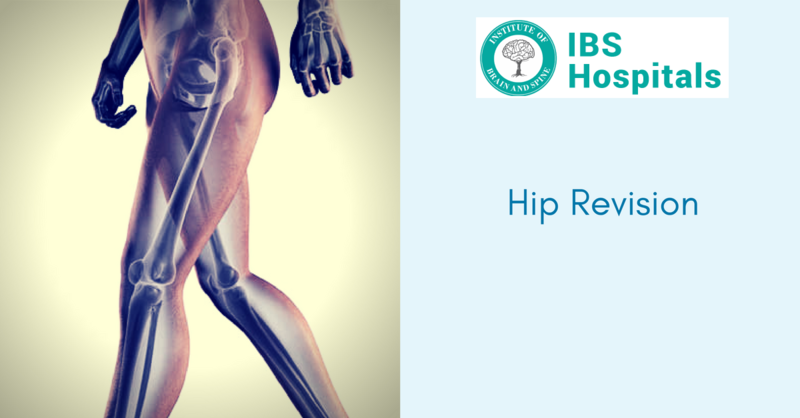 Hip revision refers to a surgical procedure which is done to repair an artificial hip joint damaged over the time either due to infection or normal wear and tear of the prosthetic hip. The surgery helps to correct the problems so that the hips can function normally. Using artificial hip implants will be extremely effective in improving damaged hip joints. Hip joints are commonly damaged by injury or arthritis. Artificial hip joints are not permanent and a typical life of an artificial joint is 10 to 15 years. People with artificial hip joints are usually over 55 years of age and the ones who have developed arthritis in the hip. After the normal wear and tear of the hip, the prosthesis doesn’t fit as securely and is ineffective. In these conditions, hip revision surgery may be recommended by the surgeon. The surgery may also be suggested if an infection has developed in the tissue surrounding the joint. When infected, the tendon, muscle and ligament tissue in the hip joint becomes weakened and damaged. The infection will damage the hip bone as well. While performing a hip replacement surgery in delhi, the surgeon cuts away the diseased portions of the hip and implants an artificial hip joint. In hip revision, the artificial hip is removed and replaced with a new one. Depending more on the severity of the problem, more than one surgery may be required. If the hip is cured of infection, the surgery is then performed for providing a new prosthetic. IBS Hospitals is a top hospital in India where several hip revision surgeries are performed each year.